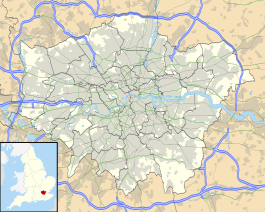 Hillingdon is a London Underground station in North Hillingdon in the London Borough of Hillingdon, west London formerly Middlesex. Located between Uxbridge and Ickenham, it is in Travelcard Zone 6. It is the penultimate station on the Uxbridge branch of both the Metropolitan line and the Piccadilly line. 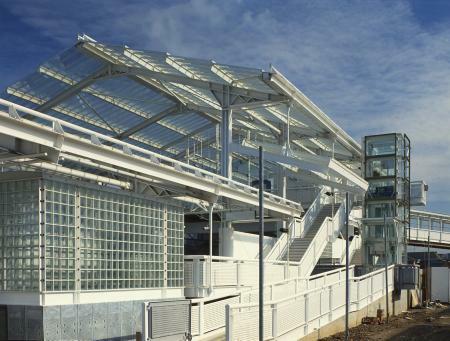 Resited in 1992, it is also the most recently constructed station on the Metropolitan line. The Metropolitan Railway (Harrow and Uxbridge Railway) constructed the line between Harrow on the Hill and Uxbridge; this was opened on 4 July 1904, with an intermediate station at Ruislip. At first services were operated by steam trains, but electrification was completed on 1 January 1905. 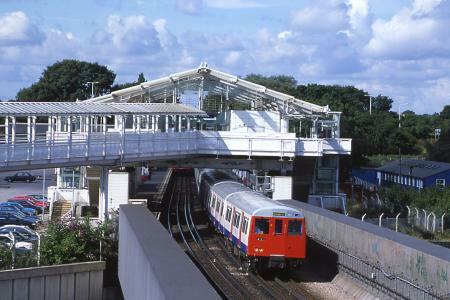 Development in north Middlesex over the next two decades led to the opening of additional stations to encourage the growth of new residential areas. Hillingdon was the last of these to open, on 10 December 1923, with Metropolitan and District line services. On 23 October 1933, the District line service was replaced by the Piccadilly line. Between the mid-1930s and the mid-1950s the station was named Hillingdon (Swakeleys), a name which is still displayed on the platform roundels. The original station was demolished to enable the rerouting of the A40 (Western Avenue) through the site. A new station opened to the south on 6 December 1992, and received the 1994 Underground Station of the Year award. 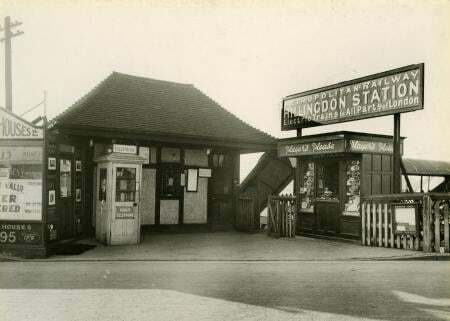 The station was identified in July 2011 as one of the London Borough of Hillingdon's locally listed buildings. The station has a car park and is accessible for those with disabilities without using stairs or escalators. It is staffed, but the ticket office was closed in July 2015. Next-train indicators were installed in the ticket hall and on both platforms during May 2016; this coincided with works aimed at improving the station, including cleaning the glass station canopy and sealing off areas of the roof to deter nesting birds. ^ Coombs, Dan (13 June 2011). "Tube station among Hillingdon buildings to get protection". Uxbridge Gazette. Archived from the original on 17 January 2012. 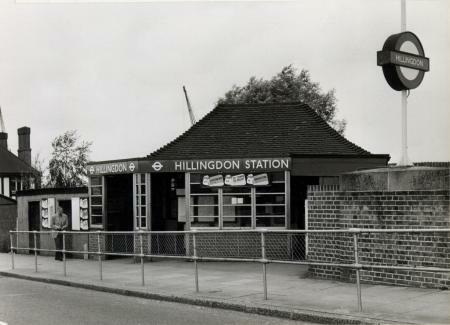 ^ "Hillingdon Underground Station" (PDF). London Borough of Hillingdon. July 2011. Archived from the original on 13 December 2013. Wikimedia Commons has media related to Hillingdon tube station. "Underground Map Circa 1933 showing Hillingdon and District line connection". Clive Billson. Archived from the original on 19 August 2007. This page was last edited on 28 January 2019, at 13:19 (UTC).